India is a country blessed with numerous biking terrains with varied sceneries and climates. If you’re a biker living in India, you must take advantage of this opportunity. Here are five biking trails in India that are the Mecca for a biker’s undying spirit. 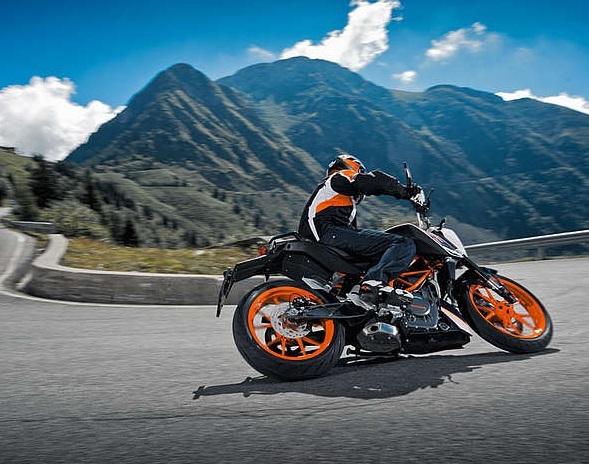 If you’re a passionate biker, then road trips can be the best way to satiate your biking cravings. And which better place than India to begin with. India is a country blessed with numerous biking trails, many of which rival the world’s best biking trails. For every passionate biker in India (or world) here are 5 Indian biking trails that are absolute must-not-miss. Delhi – Chandigarh – Manali – Leh – Irrespective of whether you’re new to the biker fraternity or a seasoned pro, Delhi – Leh is one biking trail that you’ll remember as one of the best you’ve ever had. The rarefied atmosphere, the view of the breathtaking snow-capped mountains and the feeling of riding on the highest motorable road makes this trail one of the world’s top 10 motorcycling routes. April to August is the best time to take this trip. NH17 from Mumbai to Goa – If higher altitudes is not your thing, then this is a biking trail that will surely captivate your mind for a long time after. You can extend it further to Cochin and Trivandrum if you fancy a longer ride. However, the pristine coastlines and beaches on one side and rich greenery on the other while riding through this trail will leve you feeling like you’re in a foreign land. The best time to take this route is between October to February. Rajasthan – Game for an off-roading trip? Well, head towards Rajasthan then. This trail covers the entire Great Indian Thar Desert, including Jaipur, Bikaner, Jaisalmer, Jodhpur, Udaipur and Ranthambore. However, take this trip during the winter months, unless you want to get scorched in the summer heat of the desert. Rann of Kutch – Kilometers and kilometers of salted, hard desert, and the sky above, the Rann of Kutch bikers say, is best enjoyed on starlit nights. The land poses no barriers and is best taken between December and February. Guwahati – Shillong – Cherrapunji – East Khasi Hills – This is one of the best routes to consider should you plan a trip to the North East. Beginning from the gateway to Northeast – Gawahati, to the raniest places in the country thorough to the East Khasi Hills, this is one of the most picturesque biking trails in India. You’ll also get to see places like the cleanest village in the world enroute. The best time to take this trip is in the winters. How many of these five have you ticked off you’re to-travel list? Share your experiences with us in the comments below. And, to buy helmets or biker jackets online, visit us at www.highnoteperformance.com.